All of these items can be found in the laundry isle, I bought mine at Kroger because my Target stopped carrying them and I have seen them at Wal-Mart. This soap is safe and works well for HE washers. Cutting the bar in half is optional. 1/2 bar= about 3/4 cup powdered just in case you were wondering. Step One: Pulverize the soap bar into a fine powder. 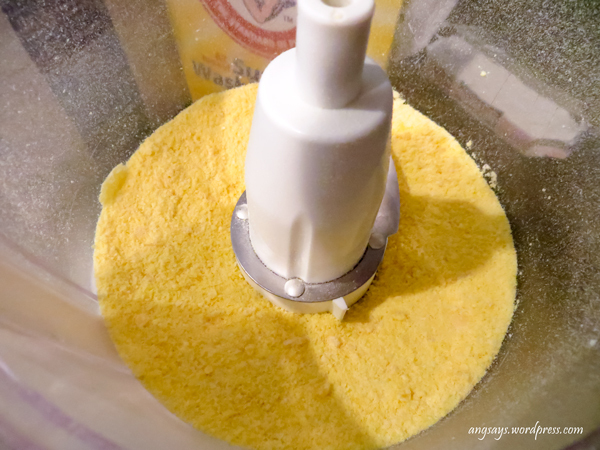 I grated mine in the food processor then processed it into a powder. There will roughly be 1 1/4 cups of the powder. Step Two: Mix the borax, washing soda and laundry soap bar. I also then ran this through my food processor to get a very fine powder. If you don’t want to make tablets, you can stop at this step. 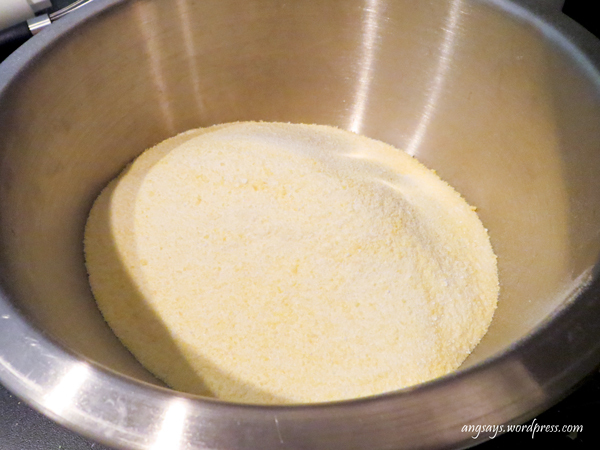 Step Three: Add 1/2 – 3/4 cup water to dry soap and mix. The mixture should be lumpy but still look pretty dry. You want it wet enough that it will pack well into a mold. The laundry soap will still look pretty dry at this point but it will pack fine. Step Four: Pack it into a mold. I used these small ice cube trays. Each mold holds about a tablespoon, which is perfect for my front loader. Just use your fingers to pack it in really nice and tight. Step Five: Let it dry overnight. I live in Texas so I put mine outside to dry then placed them under a ceiling fan to completely dry. I made these in the late afternoon and the next morning they were ready to use because they were so small. My laundry detergent tablets are about one tablespoon of detergent, which again, is perfect for my front loading washing machine. For the larger loads of laundry, I put in two tablets. I put one in the dispenser, one in the drum. There was no residue or chunks of undissolved soap when the load finished. I also tried putting two in the dispenser and found that there was just a little bit that didn’t dissolve completely. I recommend putting one in the dispenser and one in the drum for front loaders for large loads. For small loads, just put one in the dispenser. Now for you with the top loaders, I recommend using a normal sized ice tray and then you can use the same recommendations for your load sizes. I did notice a few differences between this homemade laundry soap and the store bought detergent I was using before. For the record, I’ve been using All Free and Clear because I have sensitive skin. The first thing I noticed was the static cling while pulling the laundry out of the dryer. I have never used dryer sheets, balls or whatnot to prevent static cling because it’s never really been an issue. Will I use something now to prevent the static cling? Probably not, as the freshly cleaned clothes won’t be worn for a few days giving it time to de-static. If I do, I’ll make a ball from aluminum foil and try that. After pulling my towels out of the dryer, they felt noticeably softer. I’ve been using vinegar as a fabric softener with my towels exclusively for a while now. With my store bought detergent, the towels felt stripped and a little coarse. With the homemade detergent, the towels felt significantly softer and just as absorbent; they don’t feel stripped anymore. I like smelling my freshly cleaned clothes but with the All detergent, there was no smell to be had so therefore, I stopped smelling the clothes. With the new detergent, there’s a light fresh scent so now I can tell if I’ve worn something yet or not. I like being able to do the sniff test again and be able to know that I’ve already worn something. 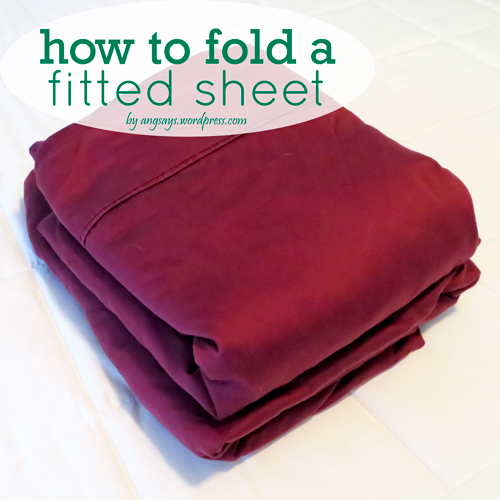 This comes in handy when you accidentally mix the clean and dirty piles of clothes. I was quite impressed when the homemade soap was able to remove our regular stains and more. On some of Husband’s white dress shirts there’s a little bit of dirt around the cuffs I haven’t gotten around to treating yet. The homemade soap significantly lightened that little dirt area. I’m betting that if I don’t treat that area, in a few washes with the homemade detergent, it will go away. The store bought stuff barely did anything to it. This laundry detergent is a little bit cheaper to use verse store bought. From my guesstimates, each homemade tablet is between 3-4 cents while the store bought liquid is 9 cents per use. Just a little savings, although I probably use less than recommended on the store bought, so my savings are not as great. Your cost savings will change depending on how much you use. 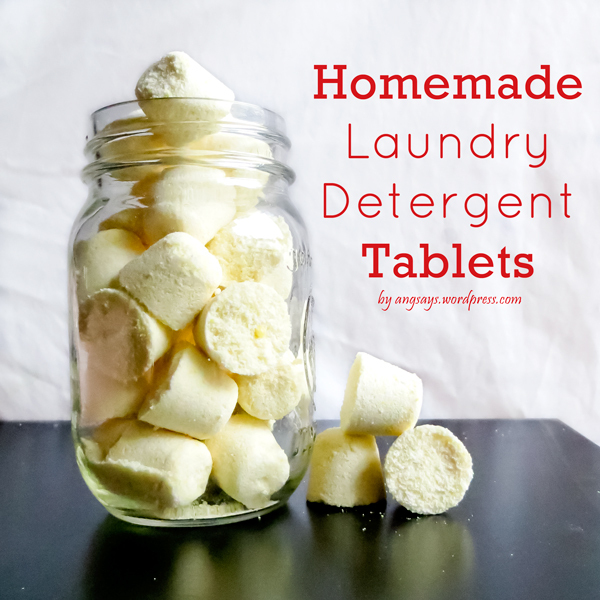 Overall, I really do like these homemade detergent tablets. I like that they’re pre-measured so I use the right amount. A big selling point for me is that it makes my whites whiter. Using the store bought stuff made my whites a little dingy after a few months and after one wash with the homemade stuff, my whites were noticeably whiter. I like that I can smell the difference between my clean and dirty clothes; my clean clothes smell fresh. Sometimes I’ll wear clothes a few times before I wash them, like jeans, and I like being able to tell which clothes are clean when I accidentally mix my clean and dirty piles. I will probably tinker with the recipe to see if I can’t come up with something better and let you know if I do. Have you tried making your own homemade laundry detergent? Hi, Angela! This looks like a great idea! I have tried this recipe with just the grated fels naptha, but the soap doesn’t always dissolve unless I use hot water. I will certainly try your method of grating and then “powderizing” in the food processor. Thanks a bunch-your posts are always helpful! I used cold water on one of the loads and it dissolved just fine. That’s why I tried to make the powder as fine as possible. Thanks so much for stopping by! Be careful with the food processor. I destroyed mine “pulvering” the soap. So my homemade soap wound up costing me more than store bought detergent. Sigh. I just can’t win! 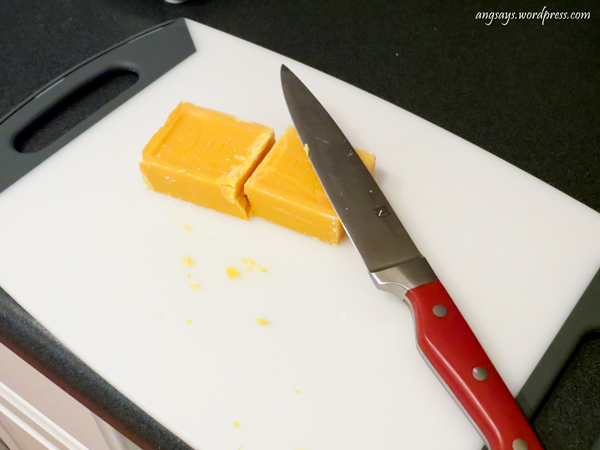 I have used my processor several times to make my soap. But I always grated my soap first. I’ve had no problems doing it this way. 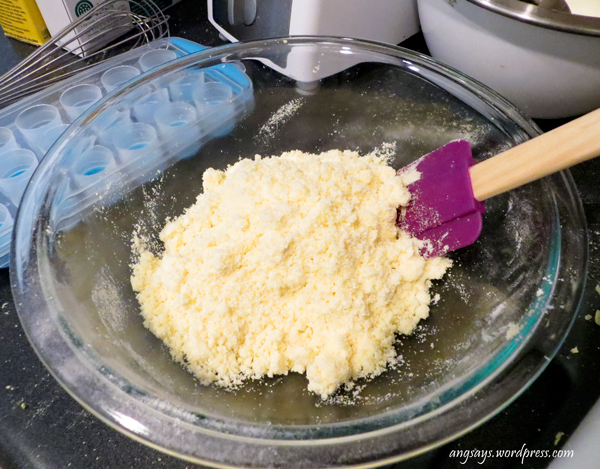 I microwave the soap bar first, then pulverize in the food processor. It also helps to cut bar up some and let dry out a day or let the grated soap dry out a day before pulverizing. So creative! I can’t wait to try this. I’m going bonkers trying to find the stain remover/laundry id that uses dishwasher detergent, vinegar and…WHAT ELSE? It’s a three ingredient thingie and it was one of the first things I saw on your blog and now I can’t find it. Really cool! I used to make my own liquid laundry soap, but I never made solid tablets like this. I like it – this is exactly my type of project. Visiting from the Pin Junkie! I thought about doing liquid laundry soap but I wasn’t up for all of the work and storing all of the extra. The tablets were so much easier and without taking pictures, I put them together in 15 minutes. Thanks so much for stopping by! 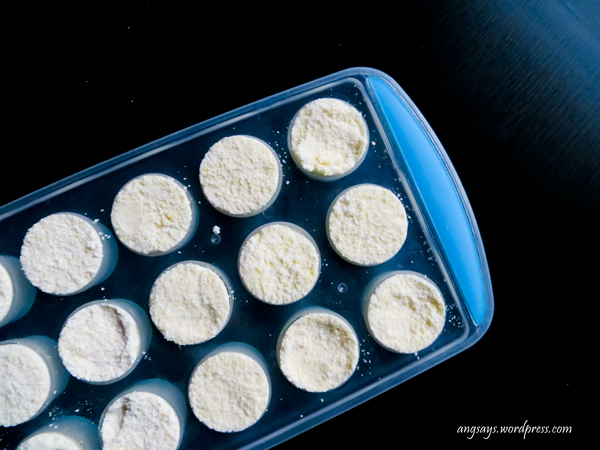 Making my own laundry soap is one of those things on my to-do list, but I hadn’t thought about making them into little tablets, what a clever idea! Would love for you to stop by Planned in Pencil and shared this at the Pinworthy Projects Party! Thanks, they were really easy to make. Heading over to your party now! This is awesome! 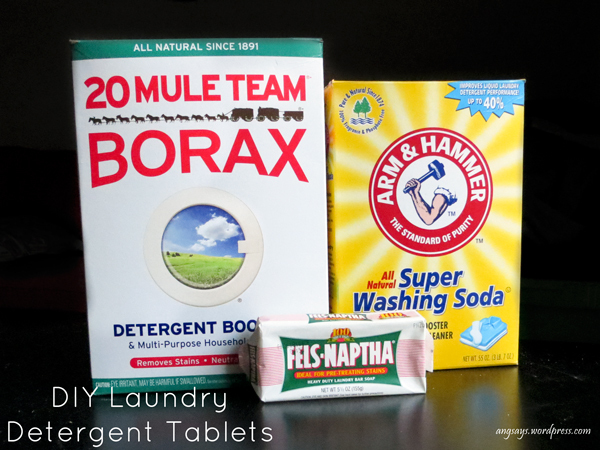 We just made our own laundry detergent recently and I love it, but it’s a super smart idea to turn it into little tablets so it’s easy to measure! Pinning this, and thanks for sharing it at my link party! Thanks! I love that it’s premeasured and it makes way more sense than the lines on the cap for the liquid laundry detergent. 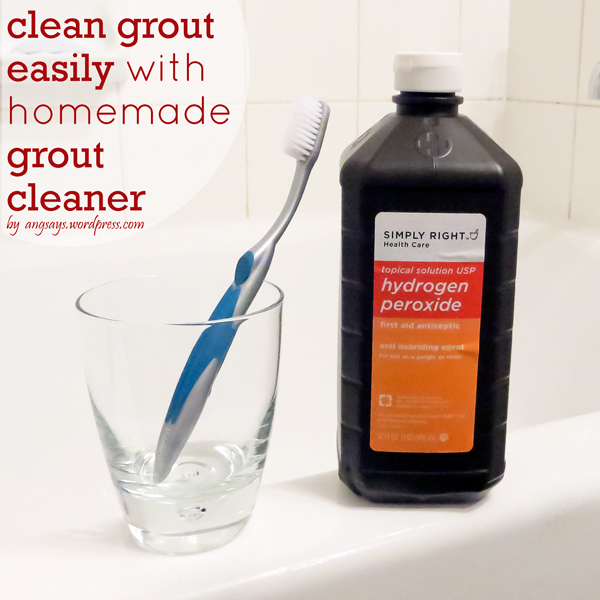 I’ve wanted to try this for awhile now, especially homemade dish washer detergent. I’m happy to read so many good testimonials about it! Have a great weekend! I had to read a lot of good testimonials too before I tried out the homemade laundry soap. I actually got the idea to do tablets from the dishwasher tablets and the commercial pods. If you try this recipe out, let me know how it works for you. Thanks so much for stopping by and saying hi! Love this idea! Found you at Give Me the Goods, and I’ve also got super sensitive skin, so I’ll be trying this. I’ve seen lots of recipes, but didn’t want to deal with powder. This is perfect! Thanks for sharing. You’re welcome! In the short time I’ve been using it, I’ve had no reactions, if anything my skin looks a little bit better. My favorite recipe so far! Love that it makes tablets. Not a fan or messy powders. Not a fan of having to “cook” it for liquids. This is perfect! Found your post on Wow Us Wednesday. I love this idea! I’m going to pin it so I remember. What a fantastic tip! Thank you so very much for sharing. You’re so very welcome. Let me know if you try it out and how it goes. Congratulations…this post was featured on Create It Thursday #19! Thanks so much for sharing a fabulous idea with us last week! Thanks so much Leslie! I love coming to your party every week. Love this idea. I have never made laundry detergent before, but just might give it a try. I already like it so much more than the store bought stuff. I feel like my clothes are cleaner and whiter now that I’m using the homemade laundry soap. Create post! I’m having a baby next month and would like to start making my own detergent. I’ll definitely be referencing your post. Congratulations! I researched this laundry soap quite a bit before I tried making it and I’ve read that it works well on baby clothes and is not irritating for babies. I featured these today on Planned in Pencil, feel free to stop by and grab a button! I have been using this recipe for nearly a year with great results. However, I grate my Fels Naptha by hand which is cumbersome and time consuming. Love the idea of the food processor!! Do you worry about any leftover Fels Naptha residue in your food processor that might contaminate food you later put into food processor? No, I did run it through the dishwasher after I was done and then wiped it down again. Doing that removed all of the residue. Thanks! I’m gonna give it a shot. These are so great! I have always made laundry detergent for my son to use while away at college. I just made these and gave him a 1/2 gallon mason jar full. He said “Sweet mom….now instead of yelling at my roommates for using too much of the powder, I can just sell them one cube at a time”! This just made my day! You’re son is so funny; my Husband said pretty much the same thing. Thanks so much for stopping by, I really appreciate it. I really like the convenience of the pre-measured tabs. I just throw one in the drum and I don’t have to worry I put too much. I add washing soda to my whites anyway, with store bought detergent, and it makes them whiter. Seems like a lot of work to go through when all you have to do is add washing soda to your existing laundry soap and not ruin your food processor in the process. I totally understand where you’re coming from Cheryl. 🙂 For me this was purely for fun and to try something new, but I do like the convenience of store bought detergent too. This whole process took me less than ten minutes and I found it to be super easy. Since I grated the soap first with my food processor and then blended, the food processor still works. I did have to wash it thoroughly with hot water and soap but overall the process was not time consuming, less than I spend cooking a meal. This homemade laundry soap is cheaper that store bought versions, which is great for those who are trying to save money. I have been using the liquid for 5 years takes time but I love the soap, besides I m retired…I do like your blender idea though might try that method, Personally I think it cleans better than any soap out there. I think I’m going to experiment with making liquid but I plan on making it in more reasonable and store-able amounts. I do like just being able to toss in a tablet and be done though. The difference with stiffness, some skin problems, etc. is that this is laundry SOAP, NOT detergent. I’ve made it for years beginning when I was washing loads of diapers. The soap yielded soft, absorbent diapers that never bothered the baby’s skin. Detergent yielded stiff diapers that irritated the baby’s skin. It is wonderful! Like your recipe better than mine using melted fat, lye and water. Had to be careful to make sure all the lye was gone! Just used this soap without the soda and borax. Adding the soda and borax improves it. I agree, some soaps have perfumes and other ingredients that irritate sensitive skin. I also think that it also depends on how much you use; overloading it can make sensitive skin flare up and the build up can make clothing more stiff. I’m excited to try this… I too used the other method and am sick of storing all the soap. I have a small food processor I bought at Walmart for $3… I will just use it exclusively for the soap, then there are no worries of contamination 🙂 This will make it so much easier for my son-no more measuring. Curious how much this recipe makes? If each tablet is one tablespoon, it should yield about 60-70, depending on how much water you add and how well you pack it. I think so, but I would chop up the soap bar before putting it in the blender and add some washing soda & borax with it to help keep the soap from sticking. I have not made the pods but have made the detergent and found several items of clothing to have bleached spots. Not sure what I did wrong. Any ideas?? I have not had any issues with the detergent causing bleach stains. However, from a little research, there could be leftover bleach from a previous wash in your machine or it could be from beauty products you’re using. I know that borax can fade colors just a little but it will not bleach them. I hope this helps! For ANYONE that thinks making your own soap is too much trouble the chemical companies win! How, by keeping you dependent on their petro-chemicals that are synthetic, bad for the environment, and toxic to your skin. Google:Tide brand, and you will be shocked that it self describes its detergent as a synthetic detergent made from petroleum by products. After this good read on Tide, isn’t making our own soooo much more healthy for you and your love ones, as well as the environment? Bette, I do like that I’m using more natural products and the fact that I’m saving so much more in comparison to using commercial detergent. I have sensitive skin and I love knowing what is coming in contact with it. Since I’ve switched, I’ve had fewer flare ups and my skin feels healthier. I appreciate your comment and thanks so much for stopping by! I tried this recipe with Zote and there was a greasy ring on the drum. Has this happened to anyone else? Have you ever tried using white vinegar instead of water? Yes, but I don’t think it makes a difference, at least not enough that I can really tell. I add a handful or two of downy unstoppables to the food processor & have a wonderful light scent left on our clothes! I used some of those at my family’s house and goodness they made my clothes smell heavenly. I like that you don’t have to use much to get a nice light scent though. this is a cool idea! I am a little confused…I have a top loader washing machine. Are you saying use a regular size ice cube tray…using 1 cube for a small load and two cubes for a large load? Absolutely GENIUS!!! So glad you were “Ton’s Pick”. While I’ve made laundry detergent before, I’ve never thought of making it into Tabs. Again, GENIUS!!!! Thanks so much for sharing. Gotta do this next time. I haven’t made my own laundry detergent yet, but have used the aluminum foil ball. It works great in a high heat dryer. But using it in lower heat, I get static clothes. Hot is best. This is the exact recipe I use for my laundry soap, minus the water to make tablets. I made some tablets for my daughter using a different (but similar) recipe. She’s handicapped, so can’t stand and measure…….she’d been using the pods. I’ll have to try your recipe. I’m so glad you like my homemade laundry soap! I use hot and cold water when washing and it makes me happy that it works in both temperatures. Hi, I live in Europe (Luxembourg) and finding American products are difficult. Can you tell me the British or French equivalents for Borax and Washing Soda? Here for washing soda, they have Soda Crystals and Borax I have not seen. This sounds easy and much cheaper than what I now use. You mentioned vinegar for softness instead of fabric softener. When do you add that to your wash load and how much? I was eager to make this! But, the tablets are not dissolving in my front loader. I have put one in the regular dispenser and tried inside the drum. Neither fully dissolved. What do you recommend? HI I would like to know if this would work in a HE washer .Thanks for your information. Can this home made soap be used on colored clothes? Hello Angela! Your DIY laundry detergent making process is unique… thanks very much. Can you add some kind of scent to this if you want? I find the Fels a little harsh on my exceedingly sensitive skin so I use ZOTE instead at the same ratio. Zote comes in pink or white and smells nice as well.